Ekua, name of a woman, 03/2008. 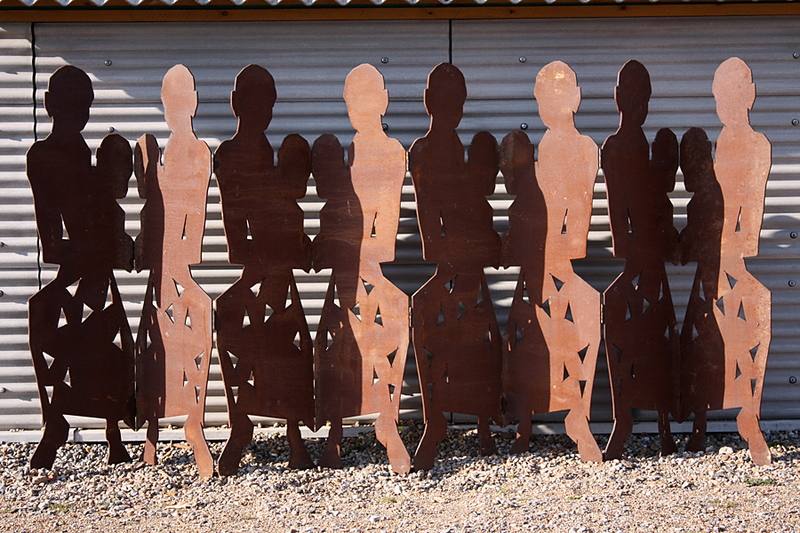 Laser-cut steel sheets, 170 x 300 x 0.6 cm. First shown at Hannah Peschar Sculpture Garden, now installed at the Spring Hill Orchard industrial park, Forest Row, East Sussex.